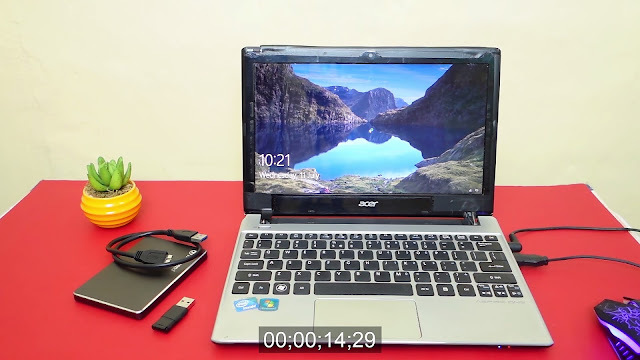 A couple of weeks ago I published a tutorial on "How to Recycle your Old Netbook Hard Drive" in 4 easy steps, and today, I'm back with yet another tutorial but this time, we're going to actually use the netbook again, with the help of the Transcend SSD230S which I am also going to review. 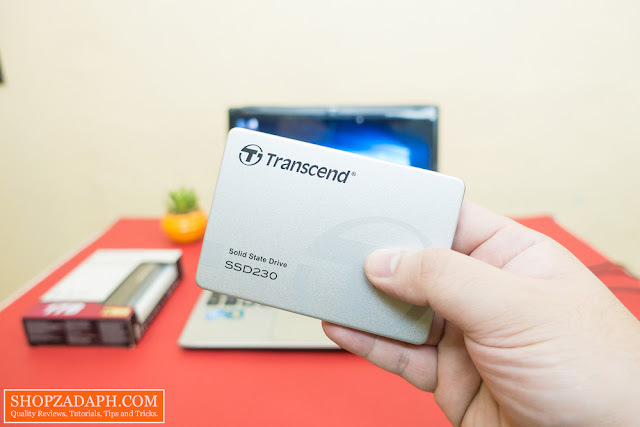 Transcend is one of my trusted brands when it comes to storage devices, I actually own two of their military-grade shockproof hard drives which I also made a review here, I use them to store all my precious RAW files for years now without any issues. So let's just say that I'm excited about today's project. 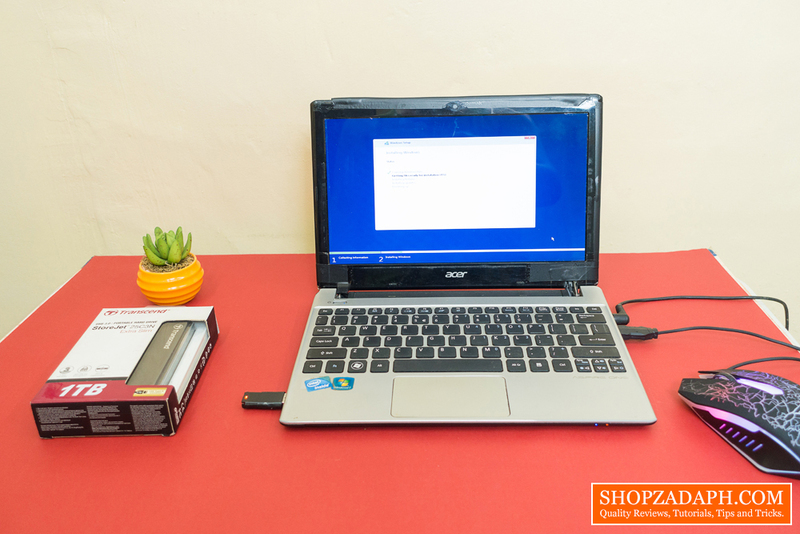 Before we start, I would just like to emphasize that this project is all about "How to Revive your Old Netbook" using the Transcend SSD230S, which is one of the various possible application of this SSD. 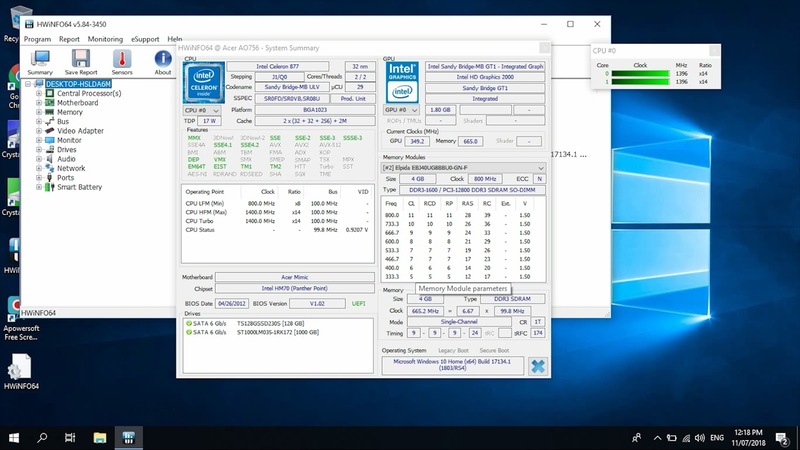 All the benchmarks in this article are directly related to the netbook's hardware configuration. 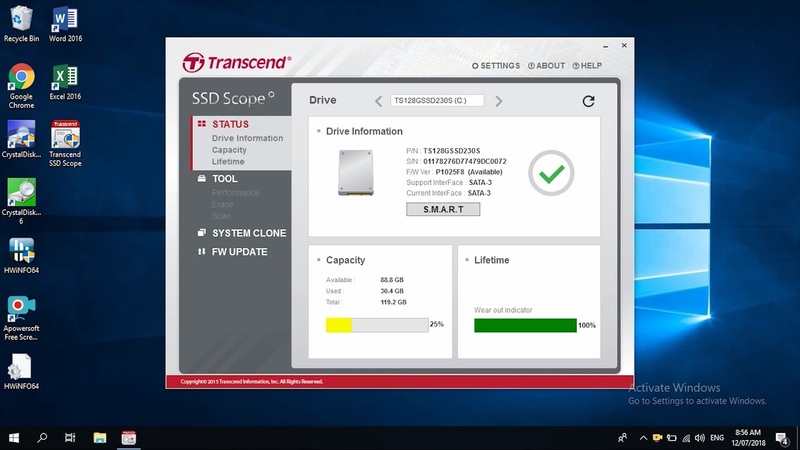 The Transcend SSD230S is one of the more budget-friendly SSD out there and is more than suitable for this project. My plan is to revive my sister's old netbook that has been collecting dust on her cabinet for years now, by simply swapping out the old mechanical hard drive with the Transcend SSD. It's still working but is painfully slow, and I think we can do something about it to improve its performance, to keep up with today's software demands. The construction of the Transcend SSD230S is made of aluminum with a thinness of just around 6.8mm. 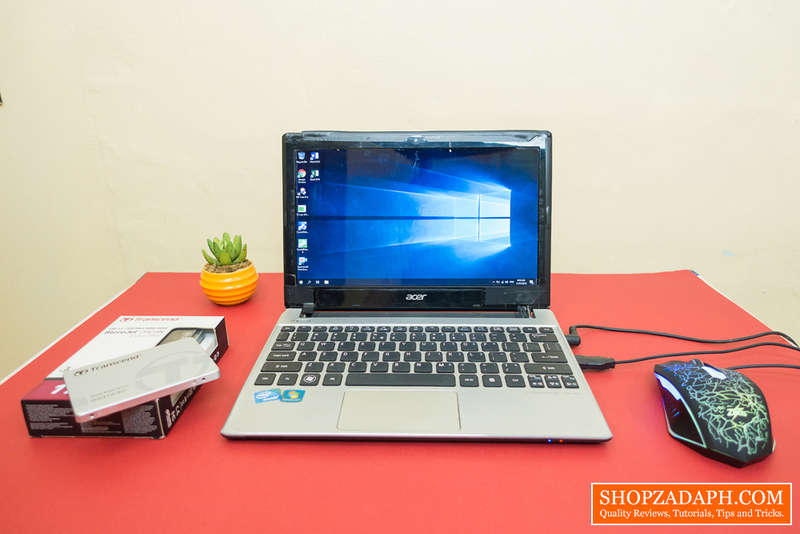 Its super lightweight as you might expect from a solid state drive and the texture is very nice to the touch. Inside the box, you're going to get the SSD itself, some paperwork and screws for mounting. Here are the specifications of this netbook so you can take it into consideration when it comes to our benchmarks later on. I also checked the hard drive for any health issues and errors just to make sure it's not defective. The netbook booted up for about 45 seconds using the mechanical hard drive. 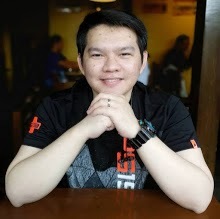 For most users that is fine, but for others who want to work more faster and efficiently, that is quite long especially if you just want to check something quickly on your files and whatnot. Now when it comes to the performance of the netbook, logging in to windows alone is super slow and once we're inside windows, it's pretty evident that the performance is less than ideal. Opening folders and applications are quite slow and the overall responsiveness of the system is also slow. 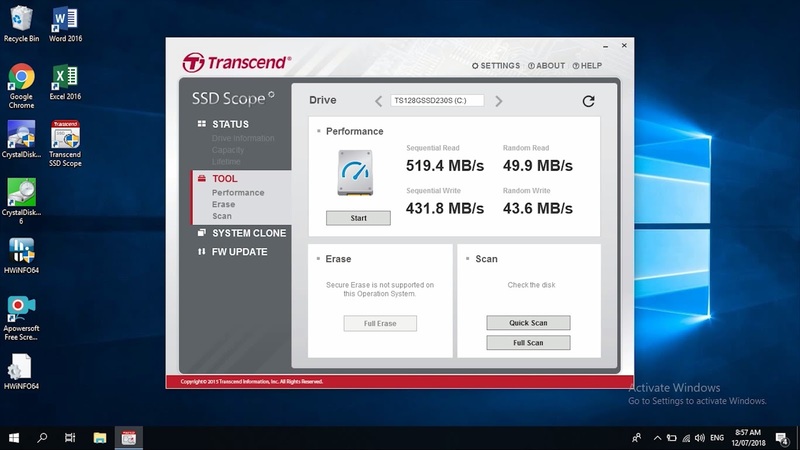 I ran the CrystalDiskMark benchmark tool to check the performance of the mechanical hard drive which we are going to compare with the Transcend SSD230S later. The mechanical hard drive maxed out at 113.8mb/s read and 112.4mb/s write. Replacing the old mechanical hard drive with the Transcend SSD is pretty straightforward, but before we do anything, make sure to remove the battery so that we can avoid any possible short circuit while we're messing around the internals. 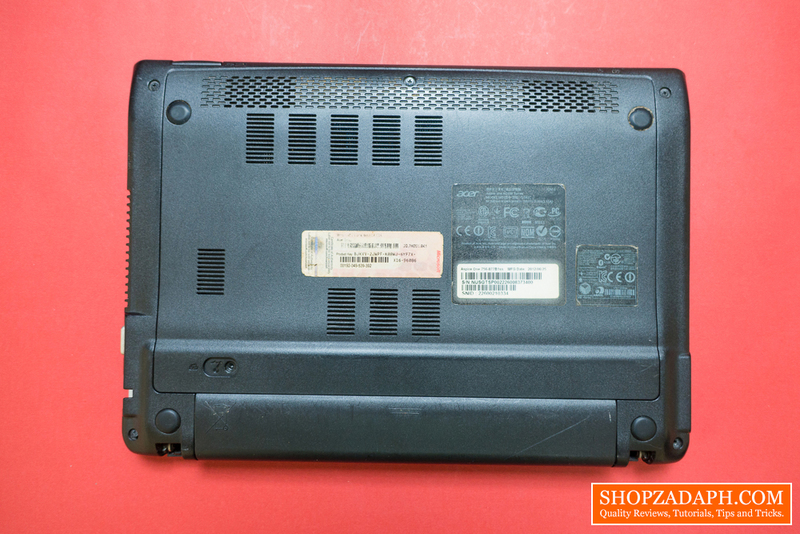 Depending on the model of your netbook, you just need to pop out the back cover and you should see the internal hard disk itself. 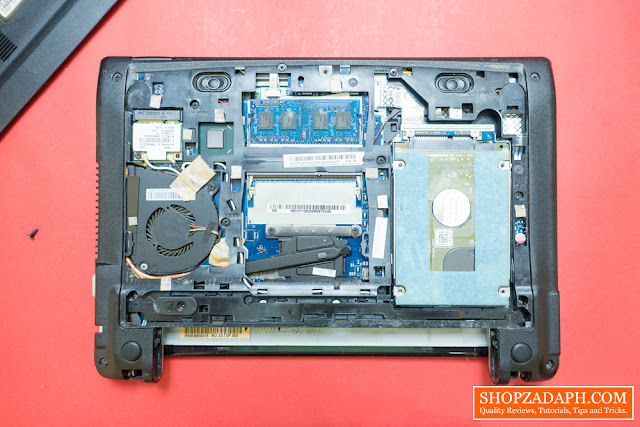 Now, on some netbook, it's very easy to remove the hard drive by just pulling it away from the SATA connector, but in this case, I need to remove the ribbon cable so that I can safely remove the hard drive from the netbook. After that it's just a matter of swapping the hard drive with the SSD, it's super easy as they are both the same size. 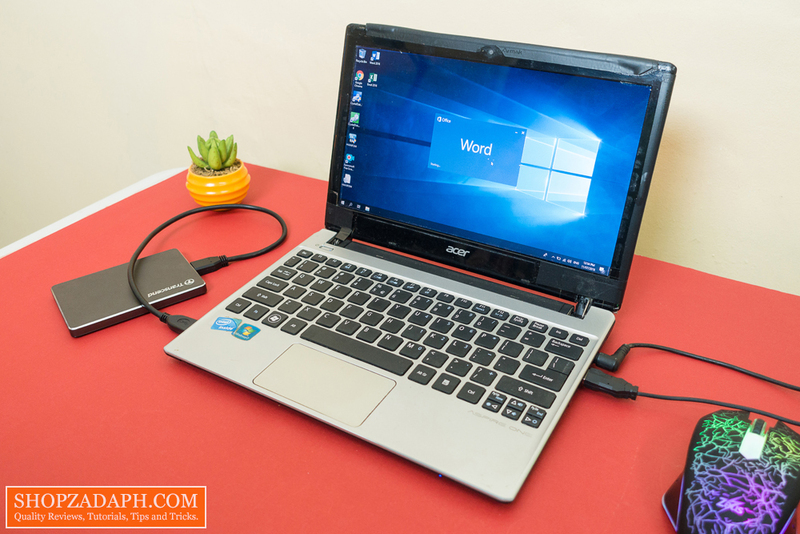 Now for installing windows 10, there are a lot of tutorials out there that you can check out but to make it simple, you can just download the windows media creation tool here and make a windows installation from another PC to a flash drive. Once you have the bootable flash drive windows 10 installer, plug it in and install windows by following the on-screen instructions. 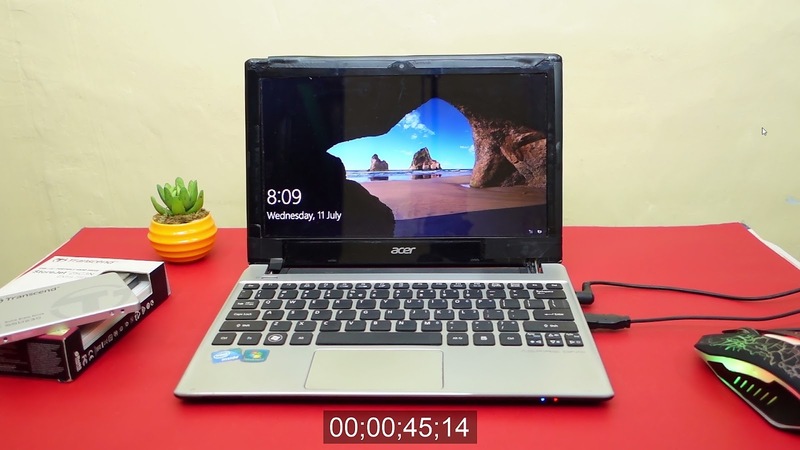 After installing windows, the netbook boot up for just around 14 seconds which is 3x faster than what we had with the old mechanical hard drive. Once inside windows, I immediately felt the performance boost when it comes to loading times. The folders and applications load faster now and the overall experience is much more bearable than before. 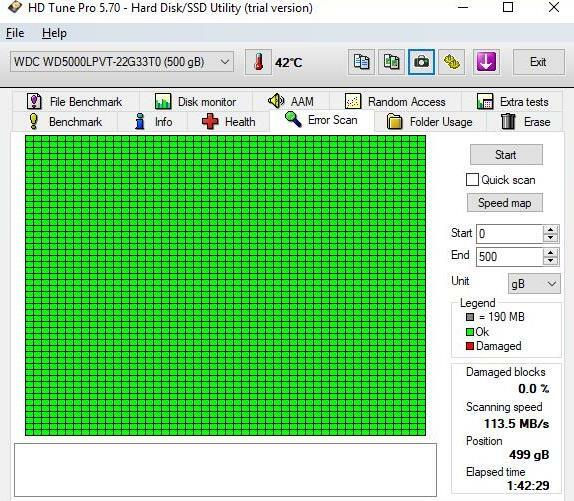 I ran the CrystalDiskMark again so that we can compare the results with the old mechanical hard drive. 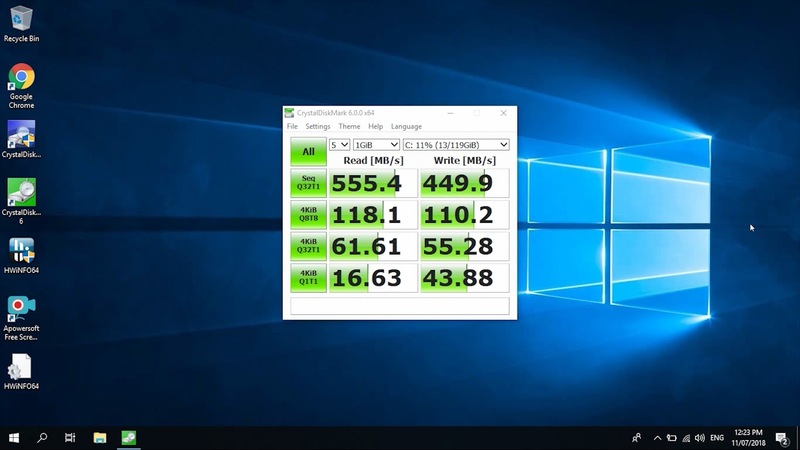 We've got 555.4mb/s read and 449.9 MB/s write which is way faster than what we got from the old mechanical hard drive that maxed out at 113.8mb read and 112.4mb write. 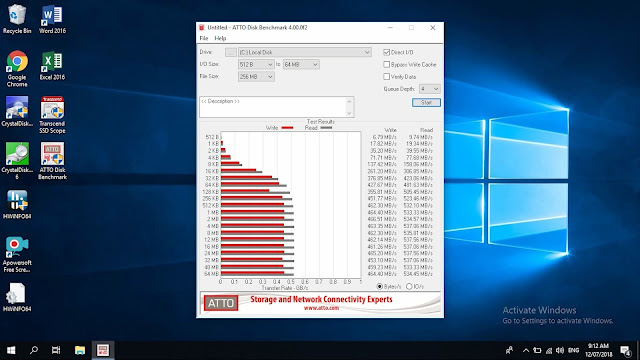 I also ran the ATTO Disk benchmark tool just for good measure which gave us a 534.45mb/s read and 464.40 MB/s write. 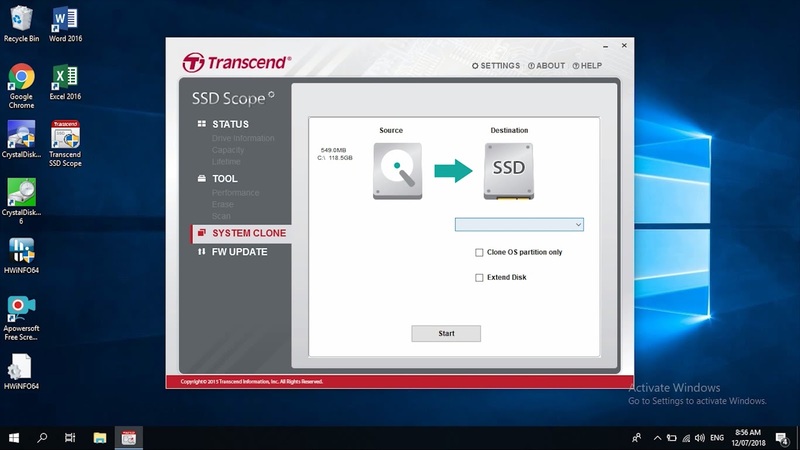 The transcend SSD230s comes with a software called SSD Scope which can also be downloaded from their website. Inside the software, you can check the status of the drive, the capacity, and the life expectancy. 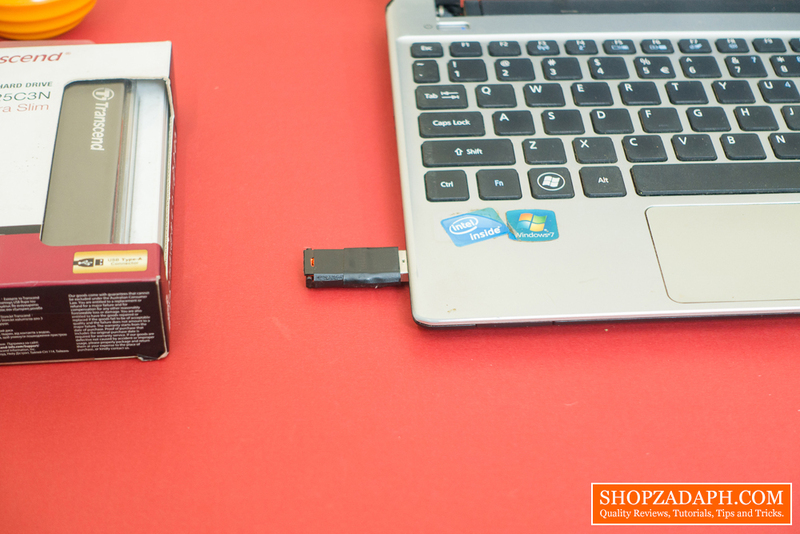 It also has built-in tools to check for performance, erase the drive and scan for errors. We also have here a system clone tool if you want to preserve your old operating system. And an option to upgrade the firmware. I also ran a quick performance test here which got us a 519mb/s read and 431mb/s write. Will I Recommend This? Yes! 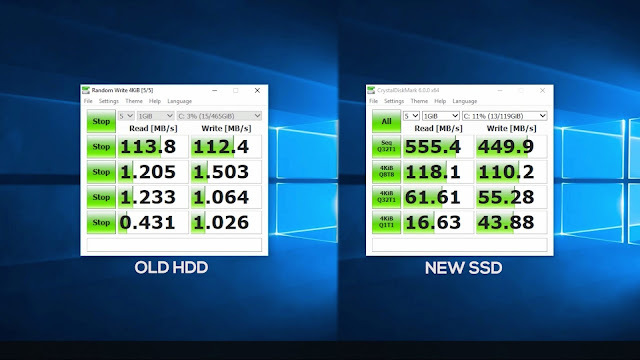 The overall performance of the netbook is way better now compared to how it performed with the old mechanical hard drive. 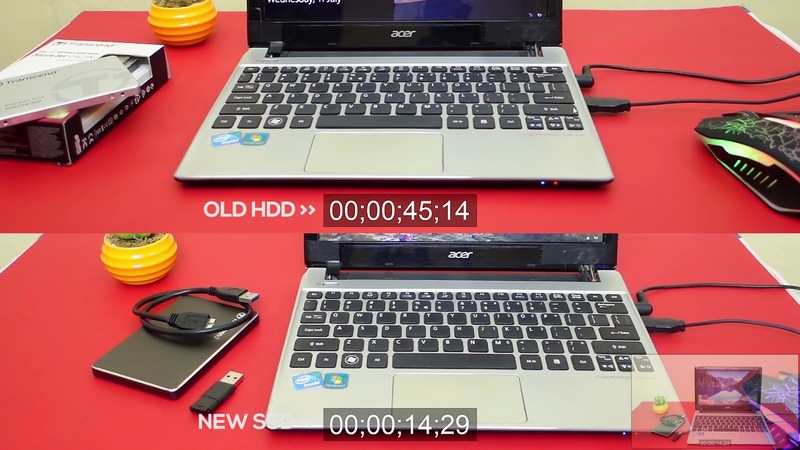 It's amazing how a single hardware like the Transcend SSD230S can transform an almost unusable netbook into something that we can use again in today's software demands. But to be fair, you still shouldn't expect to be able to play heavy games on this. What we've improved by upgrading our hard disk is the overall responsiveness of the system and applications when it comes to load times, it will not affect the performance at least significantly, of the applications that require processing power and graphics such as gaming, so bear that in mind just to be clear. 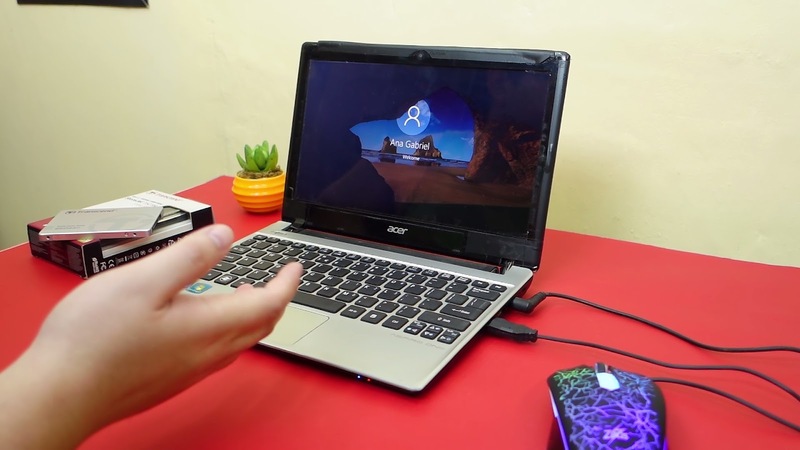 So I guess that leads us to the main takeaway for this project, the main goal here is to be able to improve the performance of the netbook in such a way that it can be used again with a much more bearable experience than before, and I think we've accomplished that with the Transcend SSD in a very easy way that anyone can do it. Yes, you still can't play heavy games or edit videos on this, but for productivity, office works, and media consumption I think this is more than capable now. 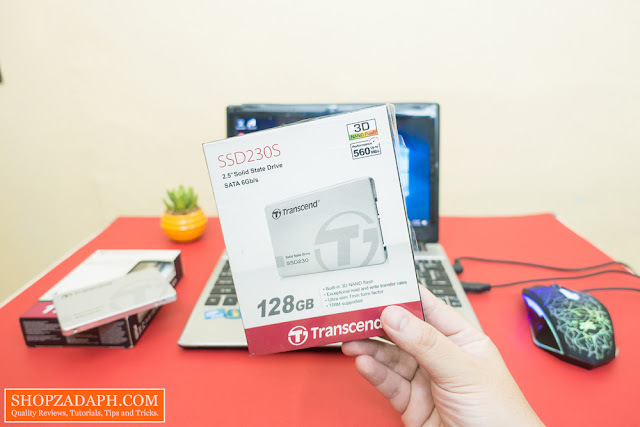 Thanks to Transcend for making this review possible, you can get this from their official store on Lazada, link below. Thank you for your time reading this tutorial, if you like this one, please consider subscribing to my channel by hitting the button below. Have a great day! Subscribe for more tutorials like this!